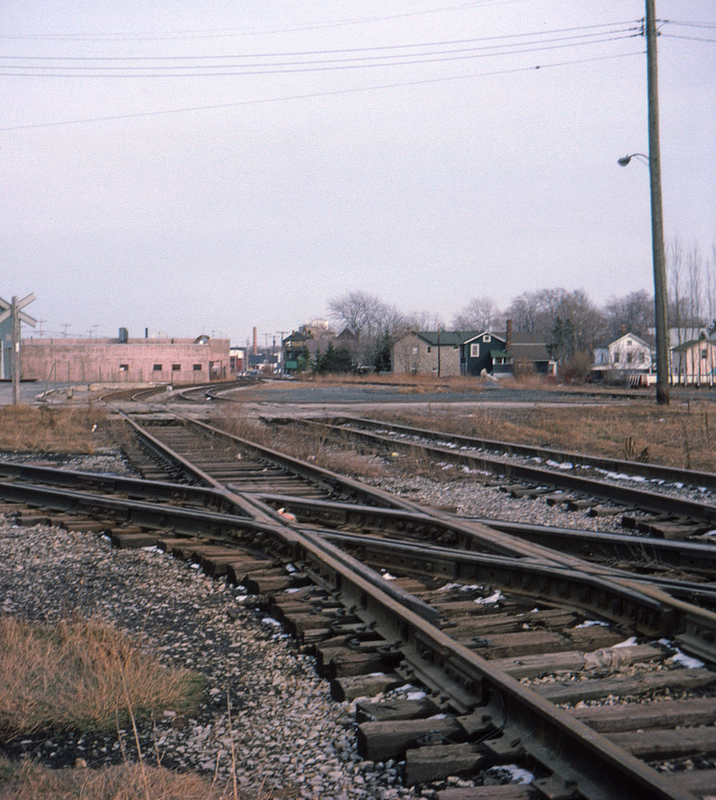 Taken from essentially the same spot as the preceding slide but facing in the other direction, this view looks down the New York Central's former four-track mainline through Batavia, New York, now downgraded to provide a connection with the Central's Peanut Line west of town. The tracks crossing in the foreground are the Erie's Rochester Branch. The grade crossing just past the diamond is Evans Street.